The Alpha 9 package for your Mercedes Benz 5.5L BiTurbo(M157) creates the most available power on the market without compromise. By utilizing the latest in billet wheel ball bearing technology, Alpha has brought you 900hp+ capability with zero loss in drivability or response. Requirements for the Alpha 9 package were strict. Alpha wanted to keep the quick spool up characteristics of the stock turbo system, while significantly improving performance across the entire powerband. So, the Alpha 9 package includes replacing the stock turbo's with larger, billet wheel, ball bearing turbochargers-which worked perfectly-great spool up, and a huge increase in performance throughout the entire powerband. 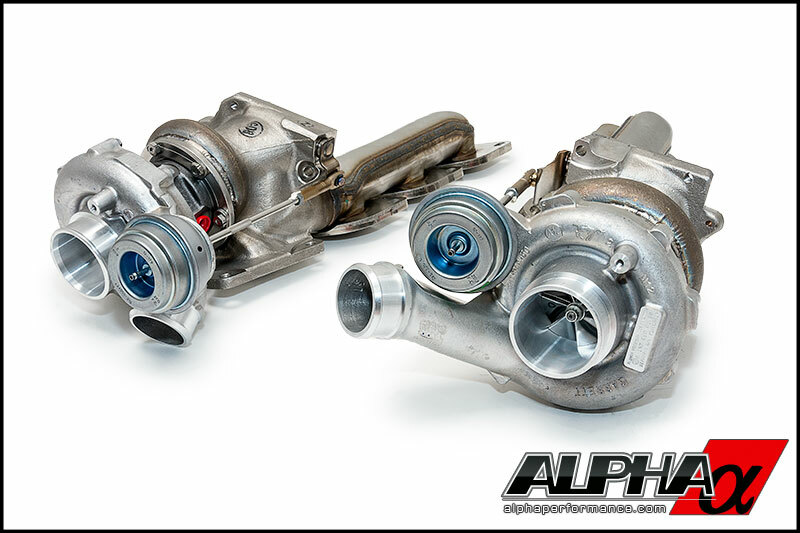 Alpha re-designed the OEM turbine and compressor housing of the factory turbo's to appear stock to the untrained eye. Even the factory heat shields are retained for safety and to keep this turbo upgrade under the radar.